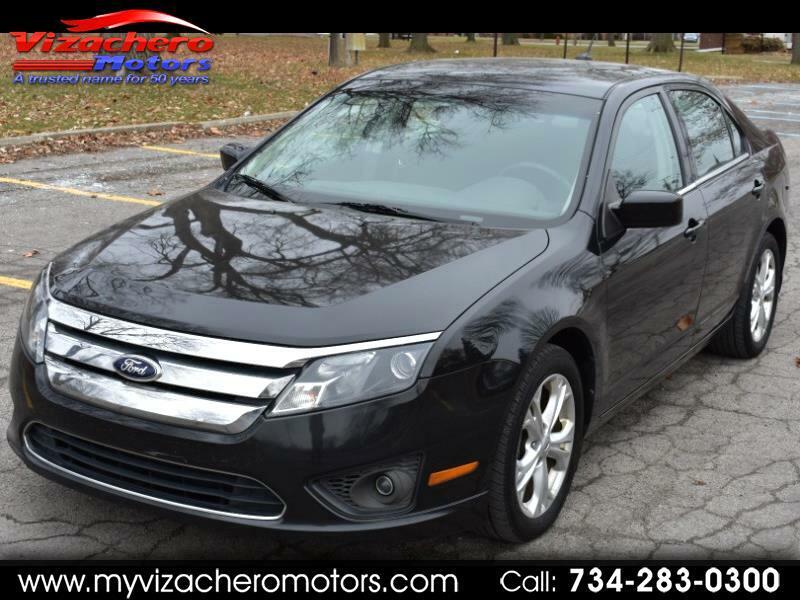 ONE OWNER FUSION - CARFAX OIL CHANGE AWARD - PERFECT CARFAX REPORT - BEAUTIFUL BLACK PAINT FINISH WITH A NEAR FLAWLESS DARK CHARCOAL CLOTH INTERIOR - POWER SEAT - POWER WINDOWS - POWER DOOR LOCKS - POWER MIRRORS - AM FM CD SYNC STEREO - SE MODEL - GREAT CAR - A MUST SEE AND DRIVE - ABSOLUTELY WELL MAINTAINED - RUNS & DRIVES PERFECTLY - THE RIGHT CAR !! - 4 CYLINDER ENGINE - WE ALSO OFFER GUARANTEED CREDIT APPROVAL FOR ALL!!! - PLEASE BUY WITH CONFIDENCE...OVER 58 YEARS OF AUTOMOTIVE SALES AND SERVICE ...OVER 6000 VEHICLES SOLD - HOPE TO SEE YOU SOON!!! !